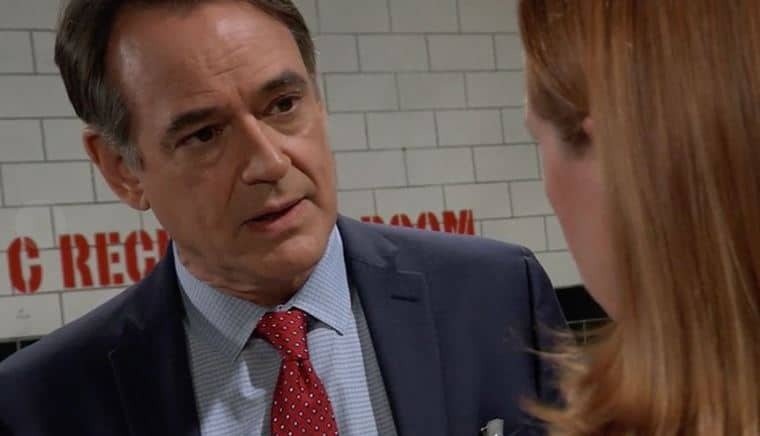 General Hospital fans are always looking for a little bit of closure at the end of the week. We know that Laura is no longer happy with the way her life is going. “Kevin” hasn’t been himself in many ways, and she’s not going to have much luck in the way of being there for him. She’s already asked him to move out, which is something he didn’t fight her on. He’s not really Kevin, but she doesn’t know that. She doesn’t know that he is not the man of her dreams, and the man that she fell for. He is his twin brother and she doesn’t know that he’s been kidnapped and held hostage. She’s not in a place right now where she can handle any of that and what is going on in her life. She’s in a place where she can get her own situation together, but she’s not in a place where she is happy with him – which we hope can change when Kevin is finally free and everyone knows what is happening. For now, though, Ryan is more than happy to be out of Laura’s situation and with Ava. He wants to be with her, and this give him more time to pursue that avenue of his own life, and he’s happy about that. We also saw Jason and Sam find something at Ferncliff. We saw that things did work out for some people in terms of what is happening overall, and we did see that there is a lot more that we can do to help Carly can get her situation under control. Michael spend some time with his son – who he doesn’t know is his son, by the way – and we all felt all the love and feelings there.